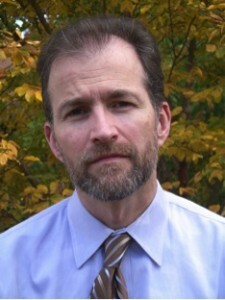 Bobby C. Rogers is Professor of English and Writer-in-Residence at Union University in Jackson, Tennessee. His book Paper Anniversary won the Agnes Lynch Starrett Poetry Prize and was nominated for the Poets’ Prize. LSU will publish his next book, Social History, in early 2016 as part of their Southern Messenger Poets series. He has recently received a grant from the NEA and been named Witter Bynner Fellow at the Library of Congress. He lives in Memphis with his wife and son and daughter. That pin oak is an excellent finish, settling sure the poem’s discussion of memory with a very real tree “grown up through the floorboards only / a little bit bent”–like our personal narratives, insistent and a bit crooked. Nice work.